/ My Idea of a Flu Shot! My Idea of a Flu Shot! 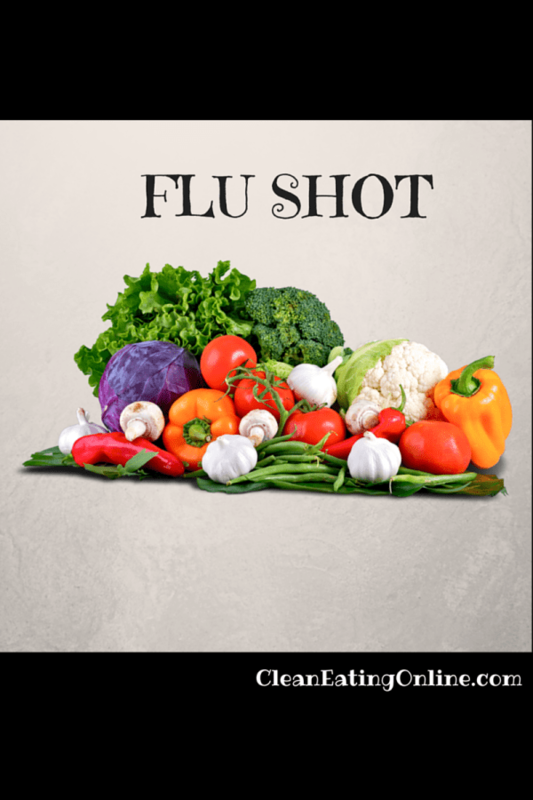 Fall is here and we are all getting inundated with pleas from health care professionals to get the flu shot. Regardless of where you stand on the flu shot, I find it interesting that the only recommendation you ever hear from the so called “professionals” in regard to cold and flu prevention consists of “wash your hands”. No one ever seems to mention the importance of proper nutrition when it comes to wellness. A healthy diet is essential in maintaining a strong immune system. Other lifestyle choices like getting enough sleep, exercising and drinking plenty of water are also important in order to function at an optimal level. If you want to keep those nasty bugs at bay over this year then make please be sure to incorporate lots of fresh veggies and fruits into your diet. Eliminate or at least cut down on processed foods. Watch the sugar intake. And don’t underestimate the power of getting enough sleep. When you cut corners on sleeping you put the body under enormous stress and it can’t fight off those nasty bugs. So let’s all stay healthy this fall by truly practicing extreme self care. Remember, if you are ill you can’t care for those you love.